Indonesia's crisis prone aviation industry suffered a decidedly minor setback on Monday after a Sriwijaya Air flight laden with durian was delayed when passengers revolted. According to a reporter Boyke Ledy Watra with Indonesia's national news agency, Antara, several passengers were so overwhelmed that they were "almost coming to blows with flight crew members." Sriwijaya Air eventually came to reason and reportedly unloaded some two tons of the fruit which Anthony Bourdain once lamented as "indescribable." If you've stumbled innocently across a durian, you will in all likelihood remember its potent mix of aromas. Even with the thick spiky husk intact, the unnatural Asian fruit has such a fearsome, unrelenting stench that it's widely banned on most major airlines, mass transit systems and public places across Asia. Sriwijaya Air senior corporate communications manager Retri Maya released a statement in response to the reports, justifying the airline's decision to carry the durian. Sriwijaya attempted to rationalize the airline's decision to take on two tons of the cargo by pointing out no laws were broken. 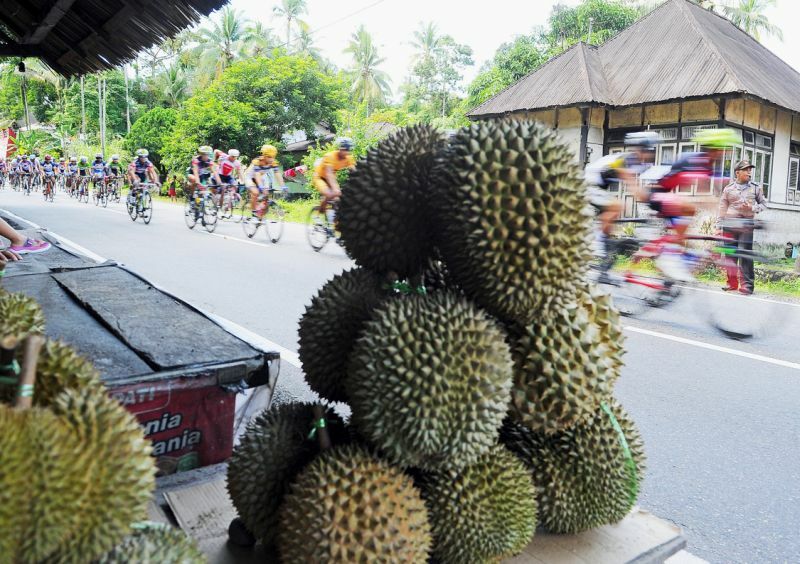 "It's not illegal to carry durian in a flight as long as it is wrapped properly in accordance with flight regulations - carried inside the hold," the airline said, adding: "Many airlines do this."